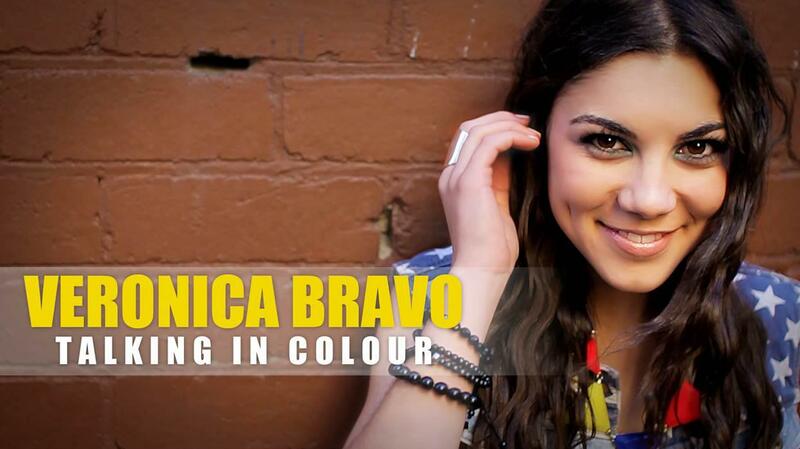 Meet the beautiful soul, singer and songwriter, Veronica Bravo. She has written songs for artists and producers in Los Angeles. Veronica has also competed in X-Factor 2012. Meet the beautiful soul, singer and songwriter, Veronica Bravo. 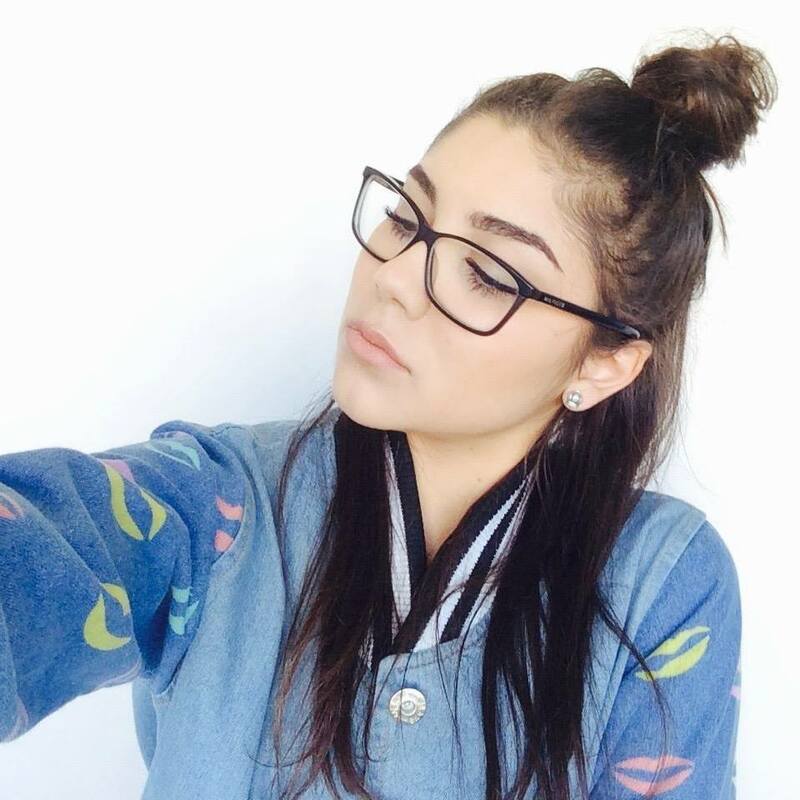 She has written songs for artists and producers in Los Angeles. Veronica has also competed in X-Factor 2012. A Spanish Australian who currently lives in Perth, Western Australia. As well as singing professionally, Veronica is also currently investing her life as a vocal coach. For all of you who wants to learn to sing the perfect pitch from Veronica, go ahead to Veronica’s page and arrange a lesson right away. Read her inspiring stories below, but before that, enjoy one of her single video – Talking in Color. An easy question to start. When you wake up this morning, what tunes that stuck in your head? It is usually the song that I have been teaching my students. So this morning I woke up with “I Wanna Dance With Somebody”. Could you please tell us a bit about your singing career and achievements? 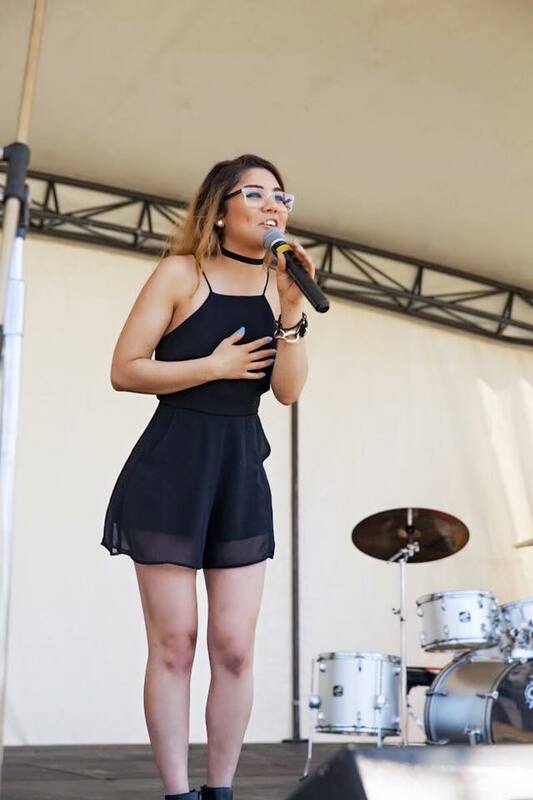 I moved from Perth to LA at 17, straight after graduating from highschool, to achieve my singing dreams. I have been singing my whole life but only starting classical and music theatre training at 13 all the way through school. 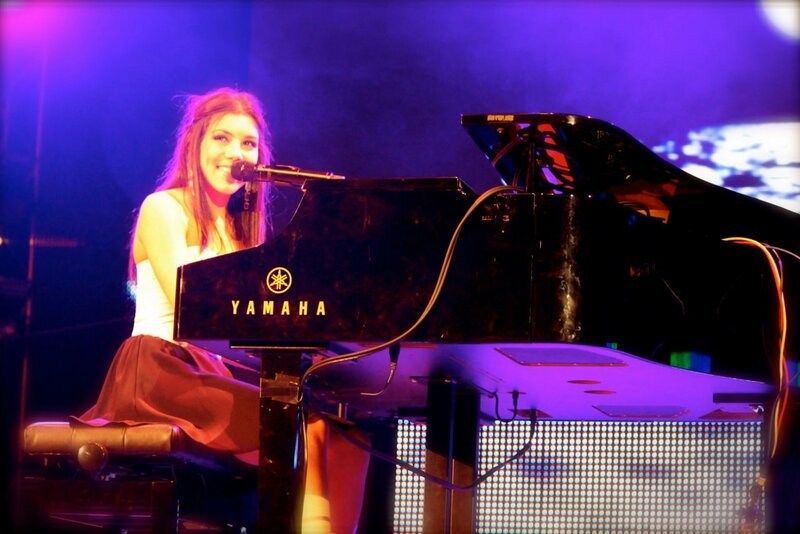 I have been performing on stage since I was 6 and also playing the piano since I was 7. I haven’t stopped really. I write songs, record them and then perform in front crowds of people when opportunity arises. I was living in LA for over 3 years writing for a lot of American producers and artists. I also competed on the XFactor in 2012 which was an amazing and eye opening experience for me, but nothing compares to the things I have done over in America. I have gone through girl groups, managements and record labels and have a high understanding of what the music industry is about. Amongst it all, nothing will ever stop me despite the criticism, hate and jealousy that comes my way. I have achieved all my grades in piano and vocals. I studied music at Mercedes College and also got the top mark in Instrumental Performance for my WACE exams. I have achieved a top 6 on the American Billboard Charts and have worked amongst Grammy winning producers and DJ’s. I have performed on Telethon, Grand Balls, XFactor, Restaurants, Clubs in both Perth and Los Angeles, concert halls and many more events. Singing has been my passion since I was young so to be able to perform and also teach students with the same gift and passion as me makes my life so much more enjoyable. Do you like singing since young? Do you have a vocal coach? How important is your coach in your singing career? I have always loved singing since I was young. Mainly because I haven’t stopped and because every part of me absolutely loves it. Vocal coaches are the most important thing to have as a singer. No matter what stage of singing you are at, whether its beginner or advance a vocal coach is there to always guide you through opportunities and teach you how to sing a particular song using the correct techniques. No matter how good of a singer you are there is always room to improve and expand your vocal range and ability. I still have my vocal coach because as I prepare myself for upcoming performances I get the best feedback and review from my vocal coach. It could be either bad or good, as a singer you have to be able to take that and learn from it. Why do you want to become a vocal coach? I want to help anyone who has a passion to sing whether its their first time or 100th time because I believe life is too short to sit there old and grey thinking to yourself, what if I did give that one thing a go. I want to teach those who are given such incredible talent to be able to use it and show it off to the world. I want to guide students in the right direction to follow their dreams because I know a lot about the industry and what it takes as an artist/singer or even songwriter to become known or even to showcase their talent around. I think those with such confidence to be able to get up on stage and sing to many people deserve a chance to make singing a career. And it can happen that is why I want to help develop people’s skills so they can sing correctly using the right technique and sound great. Artists such as Alicia Keys has inspired me so much because she plays the piano and sings so effortlessly and that to me is so admirable as I love to perform on stage with me and the piano. Ever since I was little I have been brought up on Michael Jackson since his young days till older so that kind of music and the serious amount of talent he has while performing is so inspiring. I love how he and even Alicia Keys writes such real music. Bruno Mars is also another artist who inspires me to write. He is a brilliant songwriter and not only that, but his live performances are breath taking. Besides celebrities, my family have always supported me and given me the most encouraging words or wisdom when it comes to singing and writing music so for that reason I have always wanted to show them what I have created and what I have done because I know they would be so proud. In saying that I don’t ever look for approval, the only person I compete with is myself because I always want to improve and be the best I can be. You wrote a few songs, which one is your favorite song and why? My favourite song I wrote would have to be “Breathe” it’s something close to my heart. It’s an acoustic song and a bit old but it means a lot to me. I wrote it at 16 and it is a love song. It is about how you just can’t breathe without that person. So when they go your heart breaks and you feel like you are going to die without the air you need. You can check it out on iTunes. What albums/projects are you working on right now? At the moment I am working on an EP. So right now I am just writing a bunch of songs. I get my ideas through experiences and life so having to find the right lyric comes quite naturally as I have been through a lot of heart ache and also a lot of joyful times. Do you have any tips for anyone out there who want to be professional singers like you? Always be yourself. Do not compare yourself to anyone else, because the moment you start comparing, is the moment you stop being you and others see that. Define and create your art and stick to that. The way you sing, is the way you and only you sing. No one can take that away from you so don’t try and be anyone other than yourself. Make sure you have the will power to keep going, never give and stick to your own true values and beliefs. Not everyone is out for your best interest so be weary but always take any opportunity you can as you have no idea what it may hold for you. Last question, how can we connect with you on social media? I am always on social media so the best way is my Facebook Music Page which is under Veronica Bravo Music Page. Also my Instagram is filled with lots of random singing and piano videos so you can check them out on @bravoveronicabravo. I even connect on twitter @officialvbravo and also have a youtube channel where I post videos of my performances. Well, thank you, Veronica for spending time with us at Instructo. We wish you all the best with your career. And for all you who wants to learn to sing the perfect pitch from Veronica, go ahead to Veronica’s page and arrange a lesson right away.